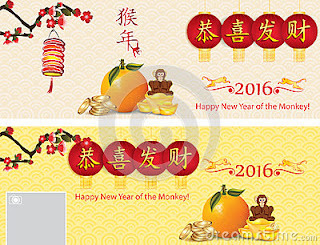 Chinese New Year web banner set (wide skyscraper 160x600 px). Color model: RGB. Format: high-resolution jpeg file. Dimensions: up to 5000 x 6000 px / 42.3 cm x 50.8 cm. 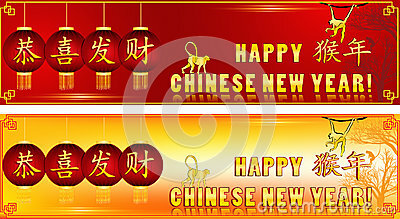 Vertical text meaning: Gong Xi Fa Cai = Congratulations and be prosperous (Chinese New Year greeting). Horizontal text meaning: Year of the Monkey. Contains specific elements: lantern papers, oriental gold nuggets. 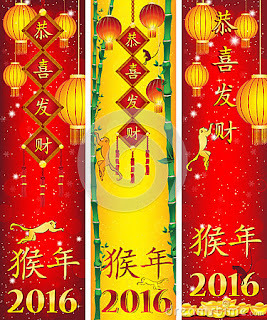 Chinese New Year web banners (Leaderboard). Color model: RGB. Format: high-resolution jpeg file. Chinese text meaning: Gong Xi Fa Cai = Congratulations and be prosperous (Chinese New Year greeting). Chinese New Year banners for Facebook. Color model: RGB. Format: high-resolution jpeg file. 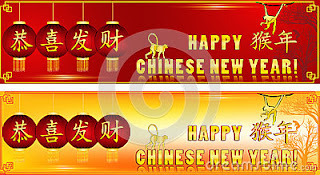 Chinese text meaning: Gong Xi Fa Cai = Congratulations and be prosperous (Chinese New Year greeting). 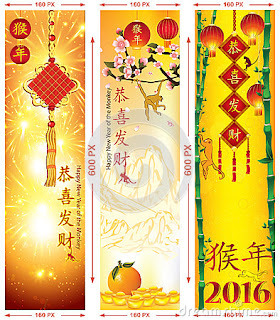 Chinese New Year web banners (wide skyscraper 160x600 px). Color model: RGB. Format: high-resolution jpeg file. Dimensions: up to 5000 x 6000 px / 42.3 cm x 50.8 cm. Chinese text meaning: Gong Xi Fa Cai = Congratulations and be prosperous (Chinese New Year greeting); shorter text: Year of the Monkey. Contains specific elements: lantern papers, oriental gold nuggets.